First time at the beach. He did NOT enjoy the cold waves hitting his feet then he got all mad when we wanted to go. 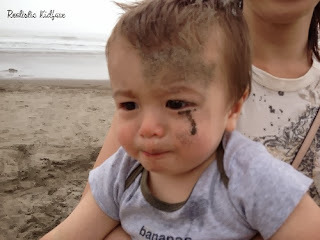 He started crying, flopped to the ground and headbutted the sand. He gets in a "headbutt the floor" phase when angry.